Language arts is one of the most important aspects of a good homeschooling education. Since we’re eclectic homeschoolers, we tend to mix and match resources for most subjects, including language arts. Today, I’m sharing five homeschool language arts curriculum resources to help you put together your own language arts program! Trust me, it’s easier than you think. 😉 I hope you find these suggestions helpful! I’m a huge enormous bookworm, but that doesn’t mean that my kids will automatically love reading. A big part of helping kids love to read is choosing books that are a good fit for their age and comprehension level. We don’t want to set them up for frustration by handing them books that are above their reading ability. Becky Spence shares excellent suggestions for choosing books that are “just right” for your kids in How to Choose “Just Right” Books: Helping Kids Grow as Readers. What’s involved in a good language arts curriculum? Ideally, we should be including grammar, reading, literature, spelling, and penmanship. If you’re wondering how you can possibly include all of those subjects in your lesson plan, Jimmie Lanley explains how you can in Designing Your Language Arts Curriculum. Copywork is a grammar concept from the Charlotte Mason style of education. It involves having children practice penmanship and grammar by copying excerpts from examples of excellent writing. If you’re wondering just why copywork is beneficial and how to include it in your homeschool, Amy Maze’s Understanding Copywork is a perfect primer on the subject! Writing an essay doesn’t have to be a difficult assignment for kids. In Essay Tune Up, Jimmie Lanley offers printable worksheets to help students break essays into sections: introduction, details, and conclusion. She also includes prewriting organizers, cheat sheets for better transitions, and a peer editing checklist! Since writing about a real person can involve lots of research and preparation, it’s important that students learn how to look up information, find good sources, compile their thoughts into an outline, and express them fluently. In Writing a Biography, Valerie McClintick takes elementary-aged students through the step-by-step process of writing a biography for the first time. 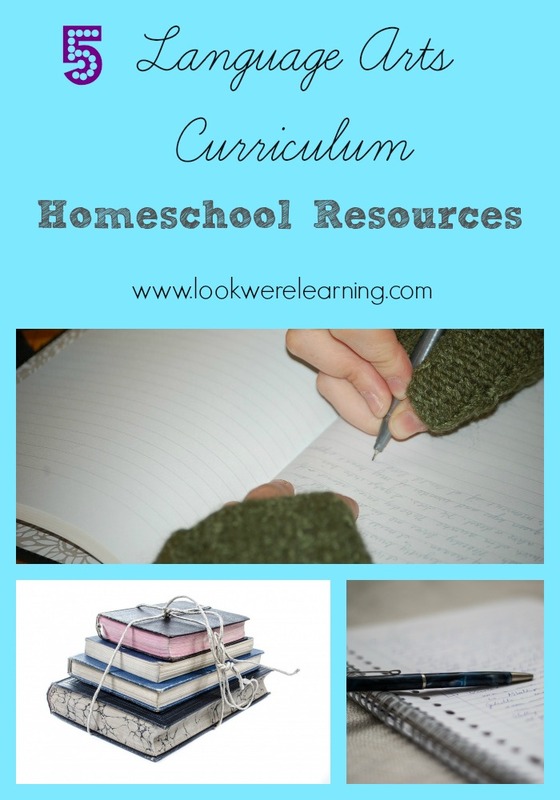 Do you have any great homeschool language arts curriculum resources to share? Tell us about them in the comments!